The year is 2173. Ruthless conglomerates are pushing the biomechanical developments envelope further and further. Only problem is that things get way out of hand, and human beings are turned into deadly weapons. You are a team of four cyber warriors out to stop the conglomerates from unleashing more evilness into the world. 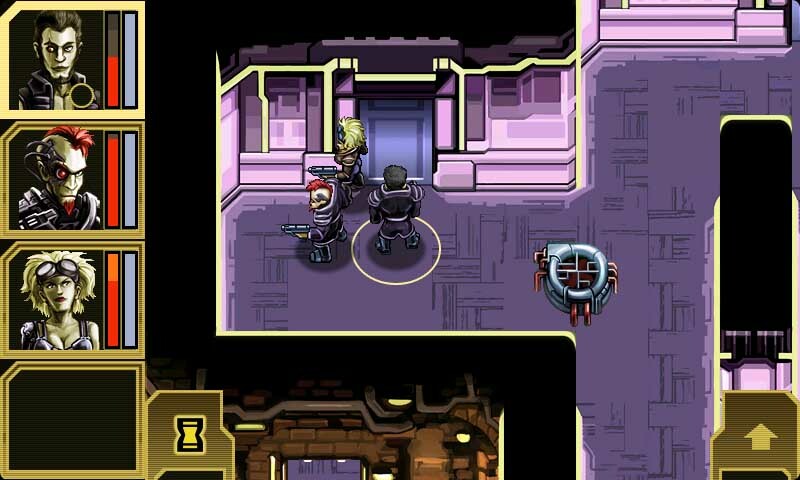 Cyberlords - Arcology is an RPG game with a wicked futuristic storyline. Find out what we think of it in today’s review. It's the year 2173. The power of government is in decline and the world is controlled by gigantic megacorporations. People may have no political power, but they still have control over their own bodies. Powerful NanoGear implants grant superhuman abilities and transform bodies into deadly weapons. 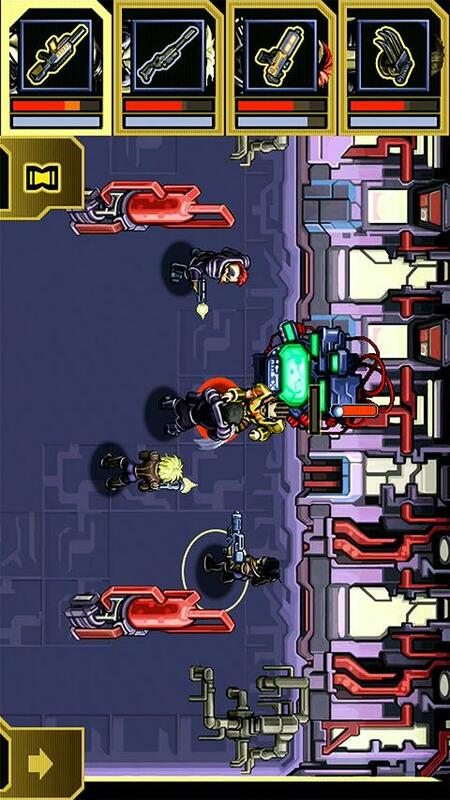 Lead your four-man team of augmented cyber-warriors on dangerous infiltration missions. Hack into camera systems and computer terminals, take over security robots and lure enemies into ambushes with mines and sentry guns. Stealth, clever tactics or brute force - the choice is yours, and remember: the future lies in your hands! Your team must make their way through a bunch of scenarios, gaining battle experience along the way. Gateways lead to new levels, but in order to pass through them you must find the key. In the über-technological era of 2173 keys are no longer made of metal but of chips which you will have to collect along the way. 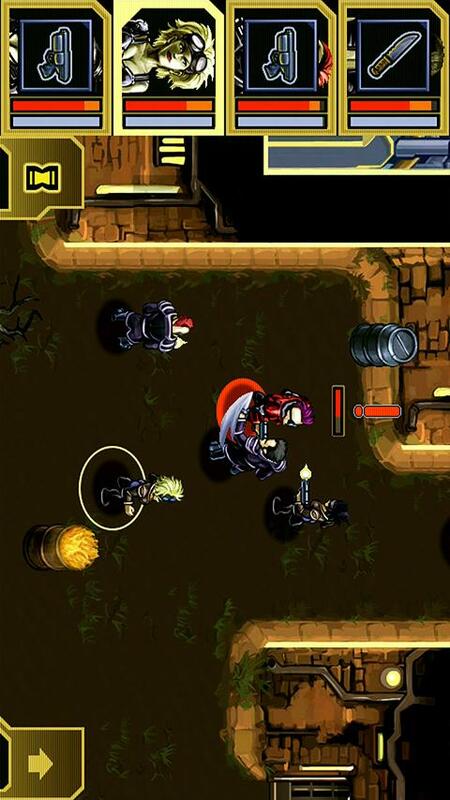 Apply strategic attack maneuvers in order to get past the guards protecting the enemy’s lair. Power Low? If one of your cyber punks is low on energy, let him sit out the next round and chill for a bit. By resting for a short while in one of the beds his energy reserve will replenish itself. Collect the health packs so that you’re well equipped no matter what the situation. Find out what the tasks are by checking out the AI instructions. There’s a quest log that can always be accessed should you need to consult the instructions again. Items are literally everywhere, even where you’d least expect them to be, so keep your eyes open at all times. Tables and wardrobes are predestined to be hiding places for money and other items. Managing items is fairly easy. Every role playing game character can lug a certain amount of stuff around with them, but won’t be able to use them all at once. The team member are not allowed to exchange items. Things can get confusing during a fight. The ‘Tactics mode’ allows you to pause the game at any time, thus giving you the opportunity to think about your next move and delegate to the team members. Don’t worry about things every getting boring or repetitive seeing as there are a lot of achievements to accomplish, some of which are more banal than others (e.g. a character has to rest three times), whilst others are more complex (e.g. killing an opponent multiple times using a specific weapon). Even saving changes is exciting, the reason being that there are only three saving slots—very reminiscent of Super Nintendo. But never fear, there is an autosave, so should you forgot to save changes or are interrupted whilst playing a round, your changes won’t be lost forever. The sound effects are pretty sweet, but there is an option that allows you to regulate the volume should you prefer peace and quiet. You can also adjust the level of difficulty. Cyberlords - Arcology has more to offer than a good narrative—the gameplay and sounds are also brilliant. This is a really good game… it might even make you forget about your game console for a few hours. Don’t expect any high-end graphics, that just doesn’t go with the style of a role playing game such as Cyberlords - Arcology. That being said, the 2D graphics are very detailed and, combined with the sound, make for a fun and suspenseful overall game feeling. Move the four characters through the different settings, one by one or all at once. There’s a selection table that will help you make the best choice about which fighter to use for given situations. Let the group know that they are to move to a specific location by tapping on the screen. You will be alerted by a vibration should this be trickier than expected (this might be due to, e.g., looked doors for which you haven’t yet found the keys). 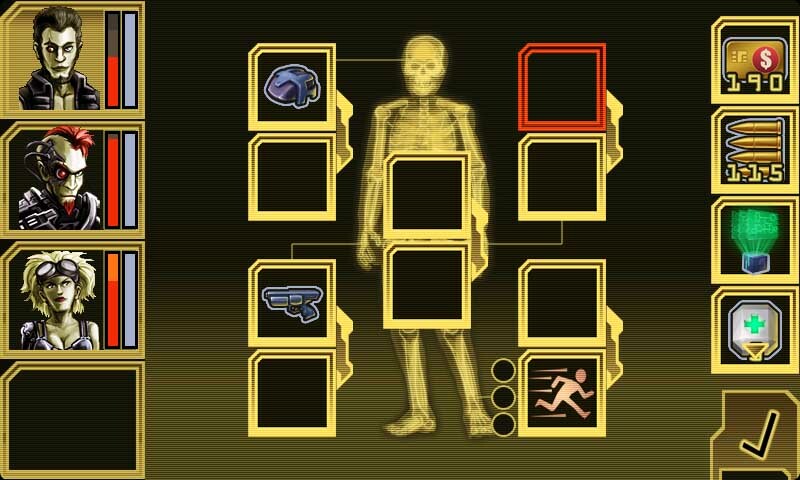 The same goes for collecting items, fighting opponents and opening or closing doors. Cyberlords - Arcology runs smoothly and the loading times are totally decent. If you purchase Cyberlords - Arcology from 30th May – 5th June 2011 from the App Center you will receive Casino Crime (which has received a whopping 4,56 star rating in the Market and usually costs € 0.99) for free. Cyberlords - Arcology can be downloaded from the Google Market or the App Center for € 0,99. A free version is available but comes with ad banners and can also be purchased from the Google Market or App Center.